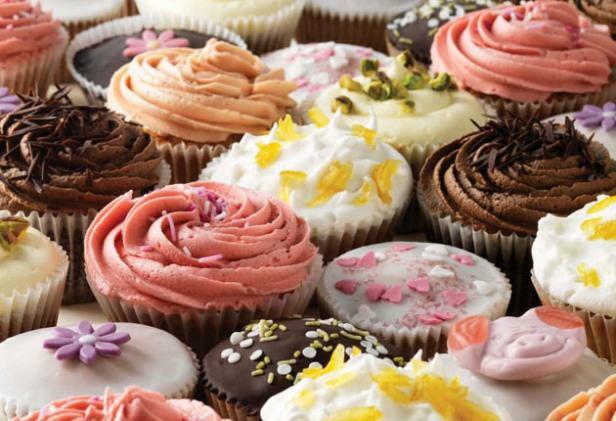 If there is medically such a thing as a cupcake addiction — my kids and I might need to be treated for it! Please picture the following scene: We had visitors from London last weekend who very nicely brought over some cupcakes from the amazing London bakery Hummingbird (Thank you, Debbie!). I woke up in the morning at 7 am and walked into the children’s room and their beds were empty. I then went into the kitchen and found two very quiet little girls at the kitchen table, each eating a huge butter frosted cupcake with a big, sheepish smile on their face. They had snuck in and helped themselves…. seriously not the balanced breakfast I had planned for them! Now, we cannot get Hummingbird cupcakes over here in Paris, but to feed our addiction, I did get the cookbook. I know mine might not look as nice as the professional ones but if they are going to be devoured for breakfast, who cares! Super easy, I would even say fool proof. I also just made the lemon cake from the recipe book and it was equally delicious..